Stark Group Ltd specialise in Krion fabrication. We don't work with any other material meaning we know the product inside out. 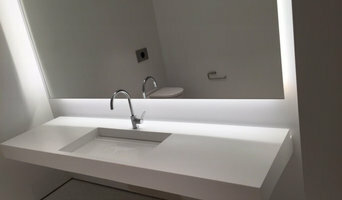 We choose to work with Krion because we believe it is the best Solid Surface product on the market. Our dedicated team have a meticulous eye to detail that has been trusted by many households and brands such as Porcelanosa. 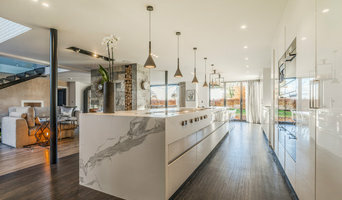 Stark Group Ltd are the biggest purchaser of Krion in the UK which allows us to fabricate bespoke Krion worktops throughout the UK at affordable prices. 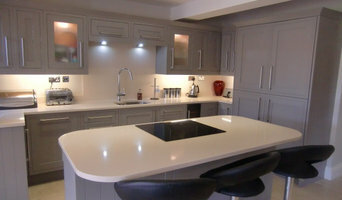 Our pricing is extremely competitive and we will not be beaten by any Corian quote even though Krion is a more premium product. Period Property Store offers a huge range of items ideally suited to adding character and style to period interiors. In addition we stock hundreds of products recommended for the installation, finishing and maintenance of original and reproduction features such as parquet flooring, Victorian floor tiles and cast iron hardware. Whether you are looking for period doors or cast iron radiators, fireplaces & stoves, traditional style ironmongery, prime solid or engineered oak flooring, we have it all ready to go. Our knowledgeable and friendly team is available to give advice on our freephone telephone number or alternatively you can use our handy online chat service. With a nationwide delivery service and fast daily dispatch of thousands of stock items, we are able to service our huge following of satisfied customers across the UK. Based in the heart of the country, conveniently located showrooms situated within our Grade II listed reclamation centre are well worth a visit, with many of the product ranges on display. Many tile, stone and benchtop contractors in New Mills, Derbyshire, UK work in tandem with plumbers in the bathroom. They can assist in a variety of common surfacing jobs, from installing shower pans to small grouting jobs. Furthermore, they can create and install murals, mosaics, and repair or replace any surfaces with chips, cracks or stains. Here are some related professionals and vendors to complement the work of tile, stone & benchtops: Interior Designers & Decorators, Architects, Building Project Managers, Kitchen & Bathroom Designers, Design & Construction Firms. 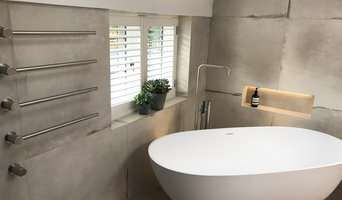 Find New Mills, Derbyshire, UK wall and floor tilers on Houzz. 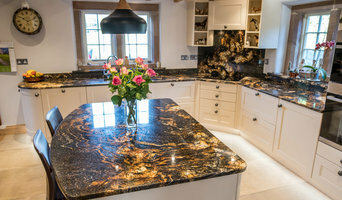 Look through New Mills, Derbyshire, UK photos to find tile, stone and benchtop projects you like, then contact the contractor who worked on it. Browsing photos will also help you stay on top of the latest trends; subway tiles, for example, are trending in kitchen splashbacks, while stone and concrete benchtops are replacing tile or formica surfaces.